While the majority of Canadian snowbirds still flock to the United States, a growing number are becoming more adventurous and choosing exotic destinations further afield. This is especially true when the Canadian dollar is weak against the U.S, dollar. By going to other countries, you can often avoid having to use U.S. dollars, covering most or all of your costs in the more affordable local currency. Whether you’re looking for a tropical paradise, a unique cultural experience or just to get more bang for your buck when you’re escaping the Canadian winters, consider these destinations beyond the U.S. that are quickly gaining popularity with Canadian snowbirds for long-term winter getaways. Many international destinations offer a way for snowbirds to avoid the U.S. dollar and significantly reduce living costs, although you’ll have to factor in the need to fly to your destination and in most cases, rent a car for a long period. Another benefit is that the weather in Central America, the Caribbean and Asia is guaranteed to be warm (however Southern Europe is a different matter, providing only mild spring type weather). Finally, travelling beyond North America will give you the opportunity to experience more diverse cultures and cuisines. These destinations offer a greater opportunity for an adventure, but you’ll need to weigh all of the considerations in deciding where to go. After the U.S., Mexico is the most popular destination for Canadian snowbirds. There are several destinations within Mexico that appeal to snowbirds, including Puerto Vallarta on the Pacific Coast; the Mayan Riviera south of Cancun; charming towns like San Miguel de Allende and Cuernavaca and the Baja California region in the Northwest. Lake Chapala near Guadalajara is also a long-time favourite. Whether you’re searching for beautiful beaches, breathtaking mountains or to immerse yourself in art and culture for the winter, Mexico has it all. Costa Rica has been a favourite with Canadian snowbirds and retirees for many years now. The majority spend the winter in the Northwest of the country, near the Pacific beaches and resort areas. In addition to enjoying Costa Rica’s wonderful climate, snowbirds looking for adventure can also enjoy its lush rainforests, unique wildlife and outdoor activities. Often referred to as the “Switzerland of the Americas” Costa Rica has always been considered to be a safe haven in Central America, an important feature for any snowbird destination. Panama is fast becoming a snowbird and retiree destination for Canadians. The warm, tropical climate, favourable tax laws, proximity to Canada and affordable lifestyle are big draws for Panama. While the phenomenon of winter visitors is still fairly new, and short term accommodations can be a challenge to find, Panama is quickly catching on to the potential of this market. Once there, there’s golf, watersports, the Panama Canal and lots to explore. 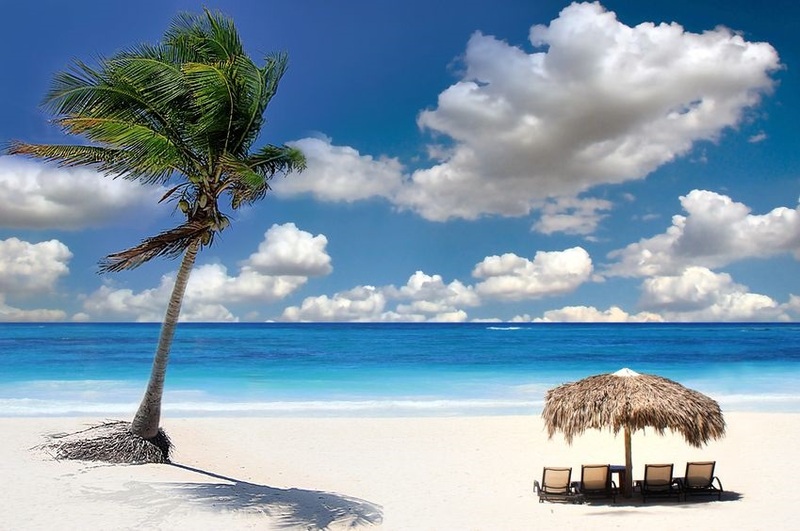 Although the Dominican Republic attracts thousands of tourists to its main tourism regions of Punta Cana, Puerto Plata and Samana, the country also plays host to a number of Canadian snowbirds looking to escape the winter. In towns like Sosua and smaller towns near the capital, Santo Domingo, snowbirds can find affordable apartments and villas to rent. The country’s beaches, Caribbean waters and inexpensive cost of living are hard to beat. Believe it or not, Cuba has been home to Canadian snowbirds and long stay visitors for many years now. Canadians discovered the many appeals of this island when tourism opened up in the 1970s. Since then, the country has welcomed hundreds of thousands of Canadians, including snowbirds looking for very affordable long stays. Most rent apartments outside Havana near the beach, or in some of the smaller cities such as Cienfuegos, Trinidad, Camaguey and Ciego de Avila. Cuba is probably the most affordable foreign destination of all for Canadian snowbirds, however this may change soon as it opens up to more American visitors. This Central American country is a best kept secret for those in the know about its significant natural beauty, including the Belize Barrier Reef, a UNESCO World Heritage site with spectacular marine life. Off the beaten track (except for divers, snorkelers, hikers and bird enthusiasts), the former British colony of British Honduras was renamed Belize when it gained independence, although it is still a member of the Commonwealth. Today Belize is an affordable destination that attracts many visitors and a growing number of Canadian snowbirds, many of whom have purchased affordable vacation homes for a fraction of the price similar properties would cost in the U.S.
For those willing to cross the Atlantic in search of winter warmth and old world culture and history, Portugal is at the top of the list for attracting Canadian snowbirds. Portugal is, surprisingly, a golf destination. Add to that its mild winters, especially in the Algarve region, its wonderful wines and seafood and many castles to explore, and you have a very interesting option to spend your winter months. Working against you will be the exchange rate of the Euro, however the cost of living in Portugal is much more affordable than in neighbouring European countries. You’ll also need to rent a car once you’re there if you want to get around. Long term rentals are plentiful. Of course the transatlantic airfare will be higher than flying south. Spain has been a beacon to Brits and Europeans for decades during the winter months, offering more sunshine and milder temperatures than much of the rest of Europe. These benefits have not been lost on Canadian snowbirds, some of whom discovered Spain as a winter haven long ago. Spain is steeped in history and has many beautiful cities, towns and regions to explore while you’re there. Soak up the art, culture, food and music and maybe even take some Spanish lessons. Furnished apartments with kitchen facilities are affordable in the off-season. Again, car rental pretty much a must. While it is a very long way to go, once you get there Australia offers Canadian snowbirds an affordable exchange rate and of course, is counter seasonal, so you’ll be arriving during their summer! The fabled Gold Coast just south of Brisbane attracts many snowbirds with its wonderful beaches and location at the bottom end of the Great Barrier Reef. There are reasonable accommodations available for long term rentals and living costs are quite reasonable. Getting there, however, is a big ticket. But airlines often have special promotions to Australia and of course, if you’ve been accumulating loyalty points, this may be the time to use them. Our final choice as an option for more adventurous Canadian snowbirds is Thailand and Southeast Asia, where living costs are extremely reasonable and where you can find pristine beaches, wonderful islands, and exotic experience like no other. Asia is culture shock, to be sure, but it is easy to fall in love with the scenery and the people here. Oh, and did we mention the food? Safety – Safety can be an issue when you travel to foreign destinations. Your concerns can often be overcome by being smart and sticking to safer areas that cater to foreigners. Accessibility – Some destinations are harder to get to and from-- and harder to get around, especially for those with mobility issues. Be sure to investigate with your needs in mind. Proximity – These destinations are far from home and have limited travel options if you want or need to return to Canada quickly. Health Care – Health care might not be as accessible or such high quality as in the U.S., and getting home for treatment may be more difficult. Political Stability – Some international snowbird destinations have less stable governments than the U.S. or Canada, which can be a concern to some. Language –Travelling to most of these countries can represent a challenge if you don’t speak the language. English is more widely used in some destinations than in others. It is a consideration, but it can also be fun. Food & Water – Restrictions and Safety – Food variety is more limited than the U.S. for those with dietary concerns or less adventurous eaters and food and drinking water quality can sometimes be an issue. Of course, bottled water is always the safest when you travel away from home. Community – Some of these destinations have relatively few Canadian snowbirds, a consideration if a big snowbird community is important to you. If you’re looking for snowbird rental accommodations, make sure you do your homework on the rental property and landlord / owner first, as local language, cultural and legal issues may make it difficult to resolve any issues should you encounter them after the fact. If you’re looking to buy a snowbird vacation property in an international destination, you’ll want to conduct extensive research on foreign ownership rules, local real estate laws and government stability before proceeding. We’ll be covering the rules and potential pitfalls around owning foreign real estate in an upcoming article, so stay tuned!